This drawing is a favorite of a lot of people, and one of mine as well! I photographed this horse at an auction early one morning in the summer of 2003. I don't know his name, or anything about him, but there was something about him that I liked, and it was an interesting pose. 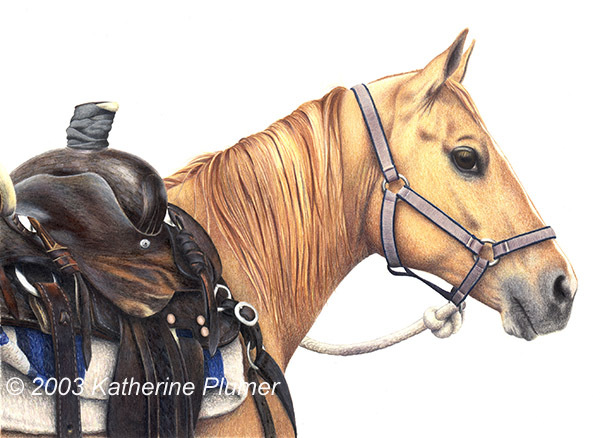 The contrast in textures in this piece was really interesting to create: the slick leather on the old saddle, the nubbly saddle blanket, the silver metal, the soft horse... colored pencils are amazing aren't they? !